Davy Transvaal, S. Africa. 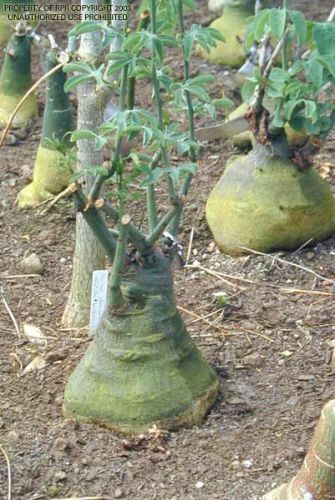 Grows a greenish, large fat caudex to 1m wide, leaves are 3-5 foliolate, green flowers, yellow fruit. An exceptional caudiciform for the caudex lover.